Well it wouldn't be a movie if something didn't happen to change the status quo in the sleepy little town. And this something is a murder. A church friend of Hazel and her mother is found dead in her home; her throat has been severed. Things like this don't happen in Fort Dundas. Hazel would like to get some new detectives in to help her solve this murder. But her regional boss doesn't like Hazel. He doesn't think Hazel needs many additional resources. He's only willing to allow an inexperienced young officer (Topher Grace) to join Hazel's team. The new guy has his own quirks and challenges. When Hazel discovers that there were other unsolved similar murders that occurred in different jurisdictions she realizes that she may have a serial killer on her hands. Surprising everyone, Hazel decides that the time has come for her to be natural police and track down this killer. The film tells us who the killer is far too early. It also has Donald Sutherland in the stereotypical role of a Catholic Priest with The Secret That Must Not Be Spoken. 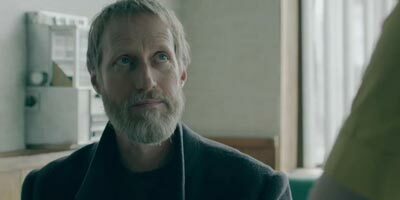 The mysterious Simon (Christopher Heyerdahl) does yeoman work as the tall strange fellow with a creepy smile and long black coat. This movie has something to say both about belief in the next life and belief in alternative medicines. 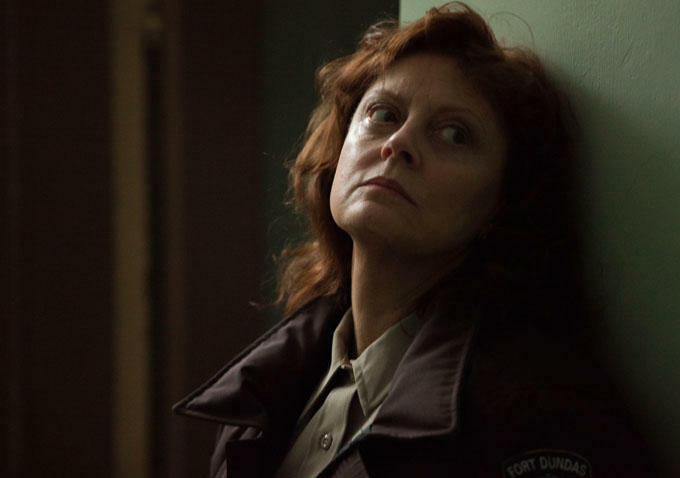 But ultimately even a talented actress of Sarandon's caliber can't really save this movie from lifeless writing and indifferent setup. And why bother to have an actress like Ellen Burstyn involved in your project if you give her nothing much to do? Anyway the ending was both predictable and different. I liked that the movie was slower paced. I was happy that it did not rely on the same old jump cuts and misdirections that have come to define many thriller films. I liked that the film made an investigation of how loneliness impacts older people and how churches are just as often places of social gathering as worship. But the story line was to my mind increasingly illogical. Sarandon truly inhabited her character. There aren't a lot of thrillers centered around an older woman and her physical/emotional issues. But all in all to my mind this was a film that was mediocre. As always YMMV.